Today is World Backup Day. A day where some of you will be doing what you've been doing all along, and some of you will start doing what you should have been doing all along: Backing up all your important data! Now, I'm not saying you should only backup your data one day a year, in fact, every day should be world backup day. This day is, however, a good excuse to talk about the importance of backups (as if I need a reason). For those of you who have never backed up your data, we realize there's a good chance you might not even know what a backup is. A backup is a separate, second copy of your important files and data—your family photos, home videos, documents and emails, for instance—so if something happens to your computer or phone your information is completely safe and accessible. Losing your data is more common that you might think. Assuming something went wrong with your computer today, what information would you lose forever? If the answer to this concerns you, and it should if you don't have backups, right now is a better time than any to plan and implement your very own backup strategy. So what's the best backup plan and where do you begin? The 3-2-1 backup strategy, of course! 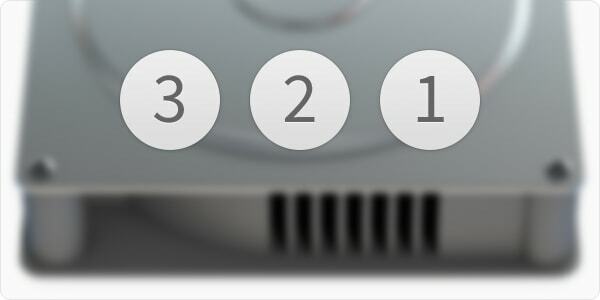 Below we'll explain why you should backup your files using the 3-2-1 backup strategy, and how you can plan and implement it today. So let's get started, shall we? The 3-2-1 backup strategy usually assumes the original file is the first copy. This leaves you with needing to make two backups of the data. Personally, I like to think that a copy is a copy of the original, so I typically make three backups. It's up to you to decide which philosophy you adopt, but more backups is better. Hard drives are by far the most popular storage type. With their large capacities and overall cheap prices they make the perfect backup destination. There are, however, different solutions that use a hard drive as their storage medium. Internal drives, external drives, RAID boxes, servers and Time Capsules all use hard drives to store data. To read about the difference between each backup drive, see our previous story on the Mac Security Blog: 4 Types of Backup Hard Drives for Mac. I advise against trusting the use of single hard drive, because sooner or later it will fail. If you're using Time Machine with an external drive or Time Capsule, I suggest adding another hard drive as a secondary backup destination. In this way, technically, you meet the "2 storage types" criteria of the 3-2-1 backup strategy. Adding another physically different medium to it is a good idea. As we've discussed, hard drives fail and while the chances of two hard drives failing at the same time are very small (unless both drives are in the same enclosure and the enclosure has a serious issue), it can happen. Risks increase when both drives are connected to the same power net, computer or are in the same location. For long term storage, you may want to consider something like Blu-ray. CD's and DVD's are known to degrade over time, and while DVD's last much longer than CD's, I have run into many that are nearly 10 years old and have corrupted data due to degradation. Blu-ray is far superior to CD's and DVD's as it holds up to 128 GB of data (though 25 and 50 GB discs are far more common) and does not degrade like CD's and DVD's. Tape is also still a very popular long-term storage medium, primarily for businesses. With Sony tape cartridges that can hold 185 TB (yes, Terrabytes) of data, which is also removable and re-writable, it makes a very attractive storage medium. Even if you have your data safely stored on several hard drives, a few Blu-ray discs and a Tape cartridge, if they are all in the same location when there is a theft, flood or fire, it'll all be gone. This is where an off-site backup comes in. Popular services that can easily and affordably give you a full off-site backup are Backblaze, CrashPlan and Carbonite. Purchase an account, install the software, tell it what to backup and let it run. Your data will now physically be in a different location, and so short of an asteroid strike your data will be safe and available even after the worst of catastrophes. That's the 3-2-1 backup strategy in a nut shell. Between the different storage types and backup applications, there are many combinations you can make, and it mostly depends on the available hardware. Hard Drive: For ideas and help choosing the best backup hard drives for your situation, have a look at Kirk's article, where he covers local hard drives, bare bones drives and docks, portable and network drives. Optical media: For more permanent storage, have a look at Blu-ray. You can pick up a Blu-ray burner here. External through USB or FireWire or internal by upgrading the SuperDrive in your Mac, you'll find an option there that can work for you. For discs you can choose 25, 50 or 100GB and I have found Verbatim and Optical Quantum to be very reliable. You can find them on Amazon and plenty of other places. Time Machine: Built right into macOS, Time Machine should always be enabled. You can configure Time Machine to use one or more backup destinations, and it can reliably be used with exernal hard drives and network drives, such as Time Capsule or macOS Server. 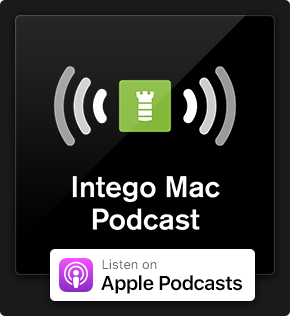 Personal Backup: If you want a lot more flexibility when it comes to your backups, precise scheduling, bootable clone option or even to sync data with another Mac, have a look at Intego's Personal Backup. Personal Backup enables you to keep things as simple or make them as complex as you want, yet keep everything fully automated. It also adds a layer of protection that can keep your data safe from ransomware attacks. What about iPhone or iPad Backups? These days, much of our important data resides on our iPhones and iPads, so these should be backed up as well. The question then becomes, should you back up your iOS device to iCloud or iTunes? According to the 3-2-1 backup strategy, you should consider doing both. Simply connect your iOS device to your Mac, fire up iTunes and find the "Back Up Now" button. You can encrypt your backup with a password and, if ever needed, restoring a backup through iTunes is very straightforward. With the backup on your Mac, it will automatically be backed up again when your Mac does its backups, so you will have multiple copies of your iOS backup automatically. With 5 GB of free storage space, you won't be able to back up much, but you can purchase additional storage space if needed. For $1 a month you get 50 GB, which is enough to backup most phones. Need more space? $3 a month gives you 200 GB! 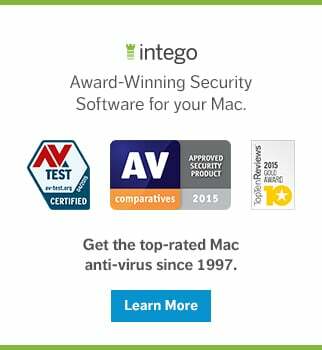 That's $12 or $36 a year for a safe, off-site copy of your iOS device. A no-brainer if you ask me. Extracting your photos and videos from a backup is not an easy or fun task. But this data is, for most people, the most important because you will want to be able to access it whenever desired. Importing your camera roll to the Photos app on your Mac will give you a separate backup of your photos and videos (which will also automatically be included in the backups your Mac makes) and makes them easy to view, sort and recover if needed. Follow these tips and your iPhone or iPad will be using the 3-2-1 backup strategy too, with some help from your Mac. With your backup strategy planned, it's time to implement it, right now! If after a week or so you find that it's not working for you, don't worry, just adjust and keep trying until you find a backup strategy that gives you 3-2-1 and works best for you. This entry was posted in How To, Recommended and tagged 3-2-1 Backup Strategy, backups, Data Backup Plan, World Backup Day. Bookmark the permalink. The problem with cloud services is that my Internet is really slow (ADSL 1 Mb/s upload) and I’ve got almost 3 TB of data on my Time Machine backup disc. At that rate, it’d take more than 9 MONTHS of continuous uploading! With 400 Mb/s (fibre optic), it’d take a bit more than 16 hours, which at least is reasonable. So I’d use a fireproof and waterproof safe, even if it’s expensive, it can’t be more expensive than cabling 1 km of fibre optic to my house. Or even store it in the workplace, a friend’s house, etc. Or buried in the ground.